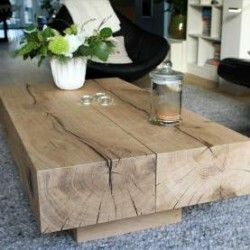 As a great centrepiece for any lifestyle our oak coffee tables add a rustic appeal and are adaptable throughout the home. 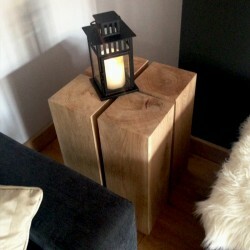 Our collection of oak lamp stands are predominantly air dried. Hard waxed to retain their appeal, our lamp stands and side tables are made from the finest oak materials to perfectly complement other wooden furniture. 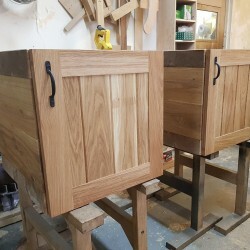 Using the best timber to produce the finest products, our extended range of handmade furniture can be delivered nationwide. Contact us at sales@uk-timber.co.uk for more information. UK Timber…it’s all about the customer! 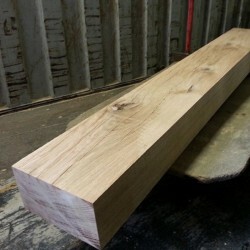 Our oak beam fireplace mantels are made to order. 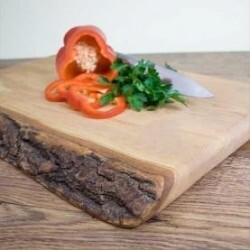 As these are created from a natural product, each piece will be different. The mantels are made from dried pieces of oak, so they will contain surface cracks, splits and knots. There may also be one or two waney edges. Following lengths below are available in section sizes - 100x75; 125x125; 150x150; 200x50; 125x100; 200x125; and 225x125. Can also be cut to custom size using our custom cutting calculator. Our mantels are available in a rough sawn finish, or a planed all round finish. These oak beam mantel pieces for fireplace surrounds are created from partially dried new untreated oak sleepers. They are left untreated so that you can finish with your own favourite colour - by using either an oil, stain, or wax. We do supply a range of Treatex Hard Wax Oils which are available in a selection of colour tones and sizes - you will also find these on our website. Bold and contemporary, our new range tv units, console tables and lamp stands feature an innovative, chunky frame design which accentuates the highly varied grain and hues of oak. 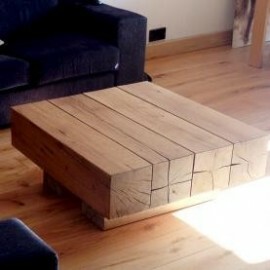 Manufactured from premium grade Solid European Kiln Dried Oak for stability. 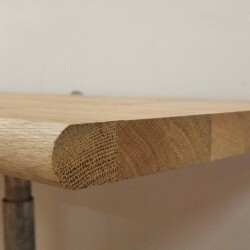 All our Solid Oak Window Sills are made to suit your requirements. Your bedroom should be a place where you can retreat, relax and prepare yourself for a good nights sleep. Beautifully handcrafted in our workshops using traditional joinery methods, your unique piece of bedroom furniture made from natures own will bring timeless style to your bedroom and we know when you're surrounded by a beautifully designed room, that time to unwind becomes a lot more easier.